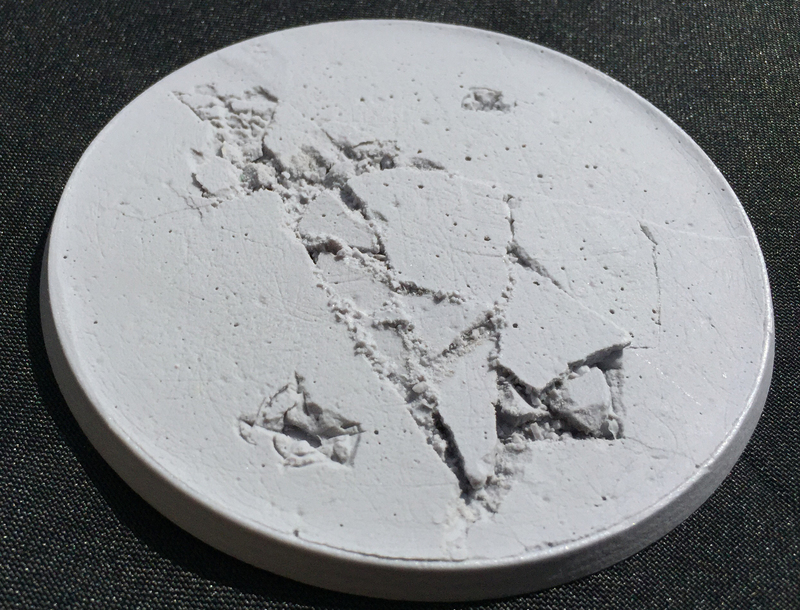 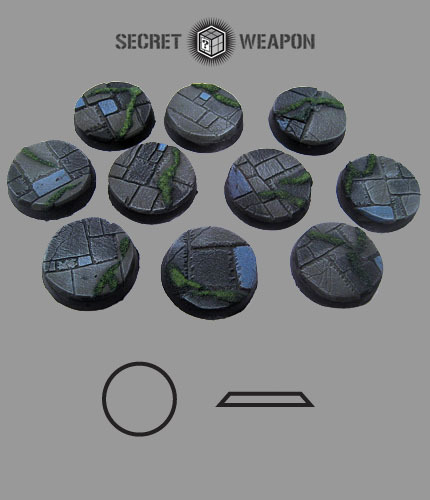 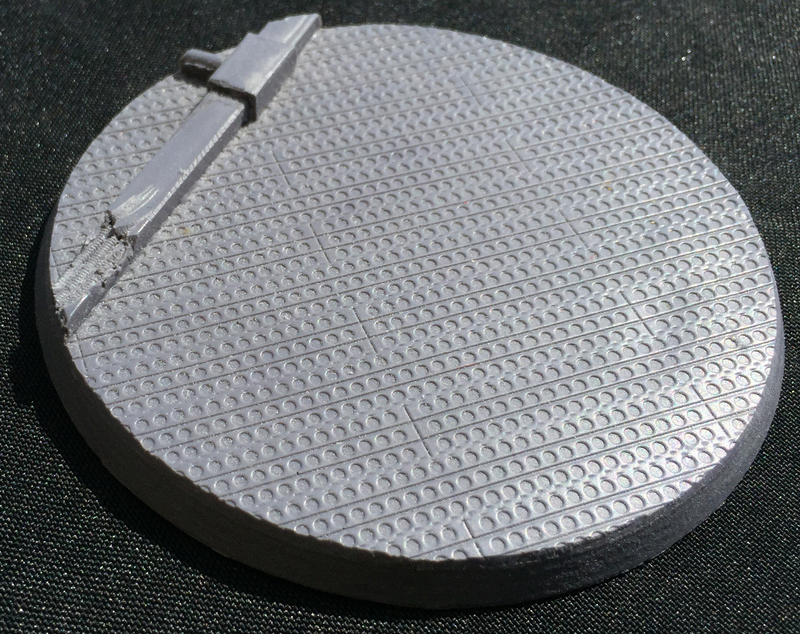 A single 100mm pressure cast resin base in the "Urban Streets" theme. 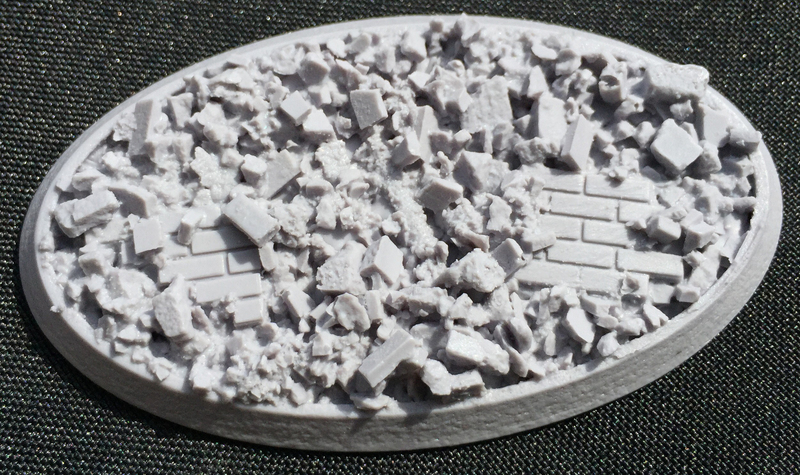 A single 100mm pressure cast resin base in the "Urban Rubble" theme. 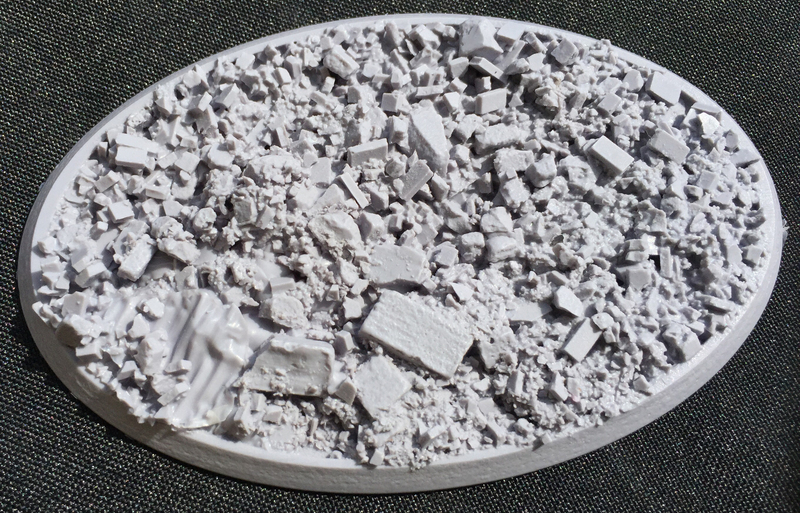 A single 70mmx105mm pressure cast resin base in the "Urban Rubble" theme. 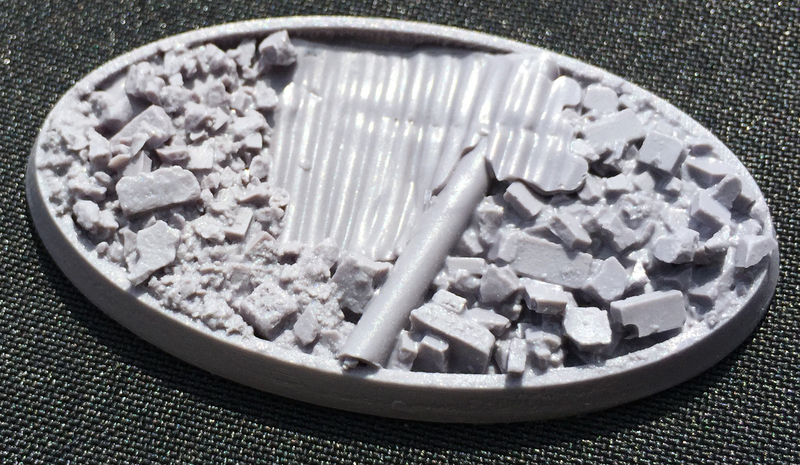 A single 40mmx75mm pressure cast resin base in the "Urban Rubble" theme. 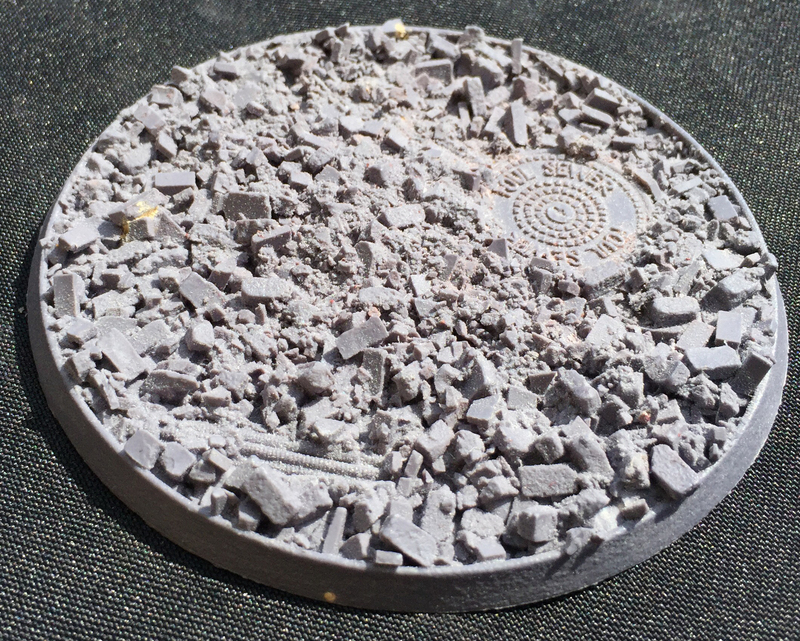 A single 100mm pressure cast resin base in the "Ruined Temple" theme. A single 100mm pressure cast resin base in the "Hollow Blank" theme. 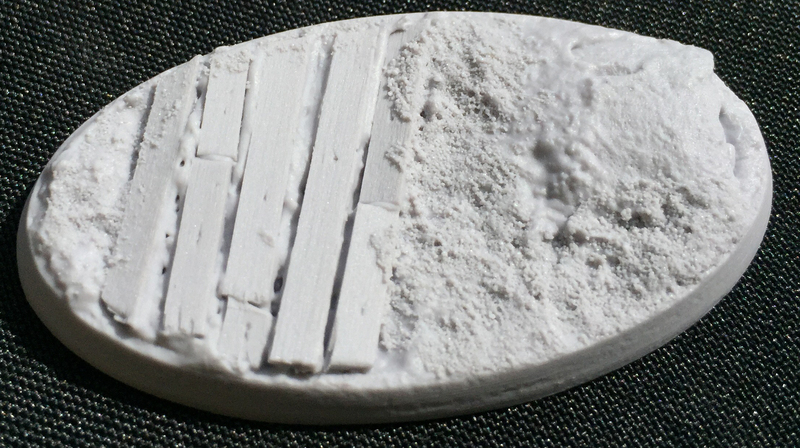 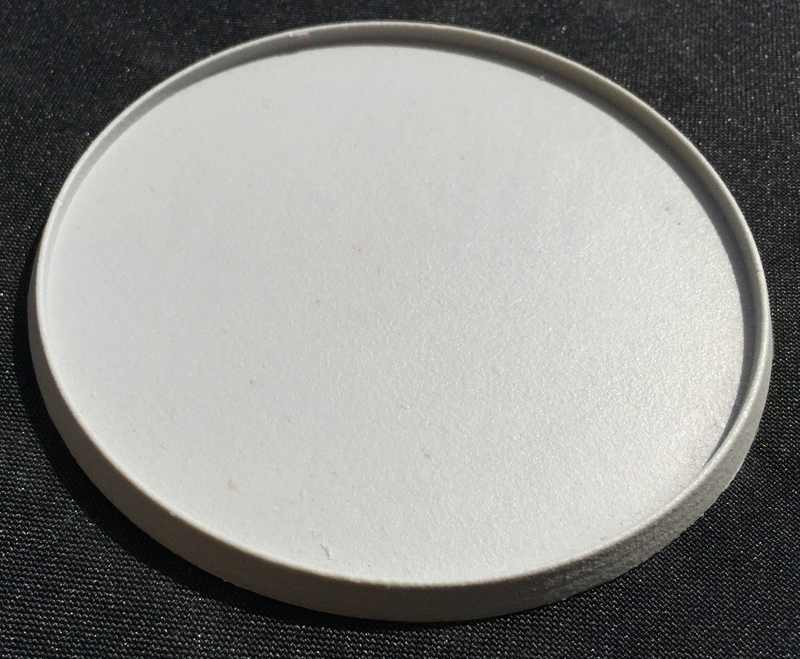 A single 100mm pressure cast resin base in the "Solid Blank" theme.